We started off the new year with Christina Cameli. Christina entertained us and amazed us with her large trunk show of quilts made with a wedge ruler. She also showed us that we can get beautiful results quilting our creations on a domestic sewing machine. 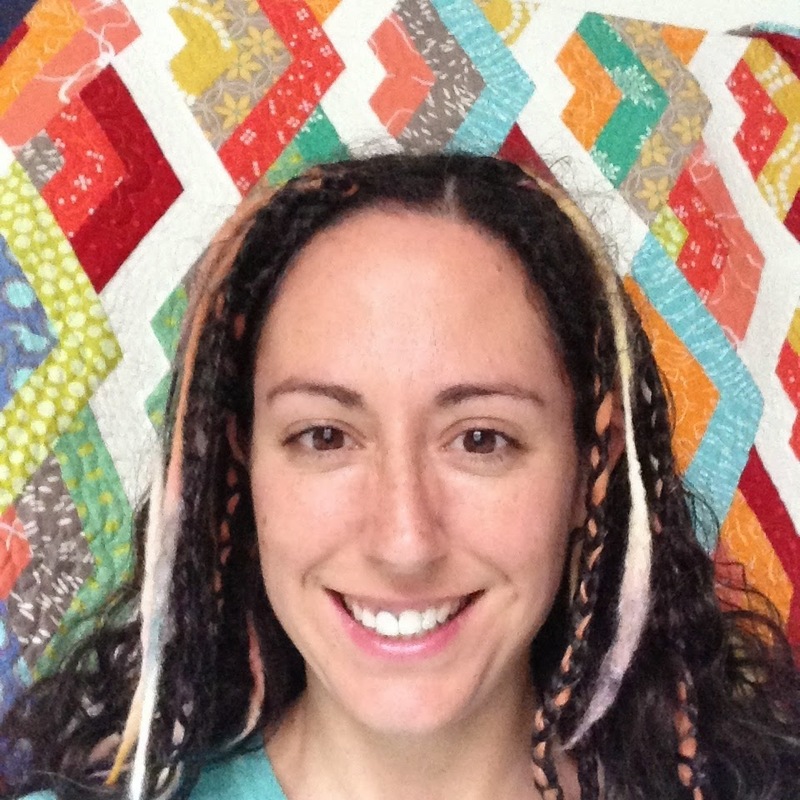 Christina is a quilter who loves spreading excitement and confidence to other quilters! 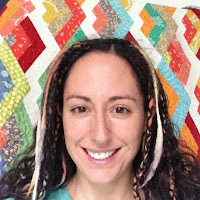 She free-motion quilt on her own home machine. 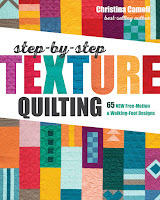 She loves teaching free-motion quilting so much that she wrote some books about it! 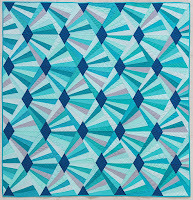 Then she started playing with wedge quilts, so she wrote about that too! Christina is happiest working without patterns, using up scraps and not taking things too seriously. She's a single mom and quilting is just a part-time thing for her., In the "real" world she's a nurse-midwife and loves her job. 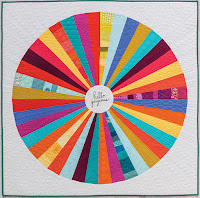 Christina will be giving workshops on free motion quilting on a domestic machine on March 23, 2019 and a workshop on making a wedge quilt will be scheduled for the fall. For information, contact Sue Hauser or Ruth Voelker.